It’s not every day that you pledge your love in front of your family and friends. It’s your day; the day you’ve been dreaming of since forever. 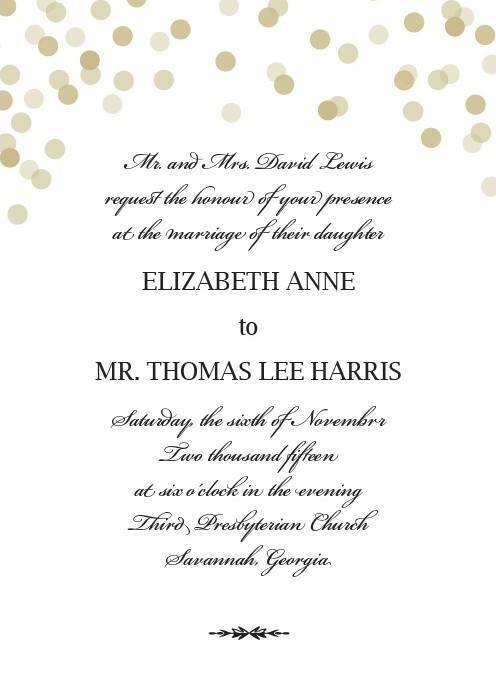 When you see your wedding invitations, your heart should swell. You should get the same warm and fuzzy feeling inside as when you find a pair of shoes that are so you, it’s like the designer created them specifically for you. They need to be beautiful, striking and very chic. Browsing at Basic Invite‘s vast selection of pocket wedding invitations, there are several that are so gorgeous we had to share them. 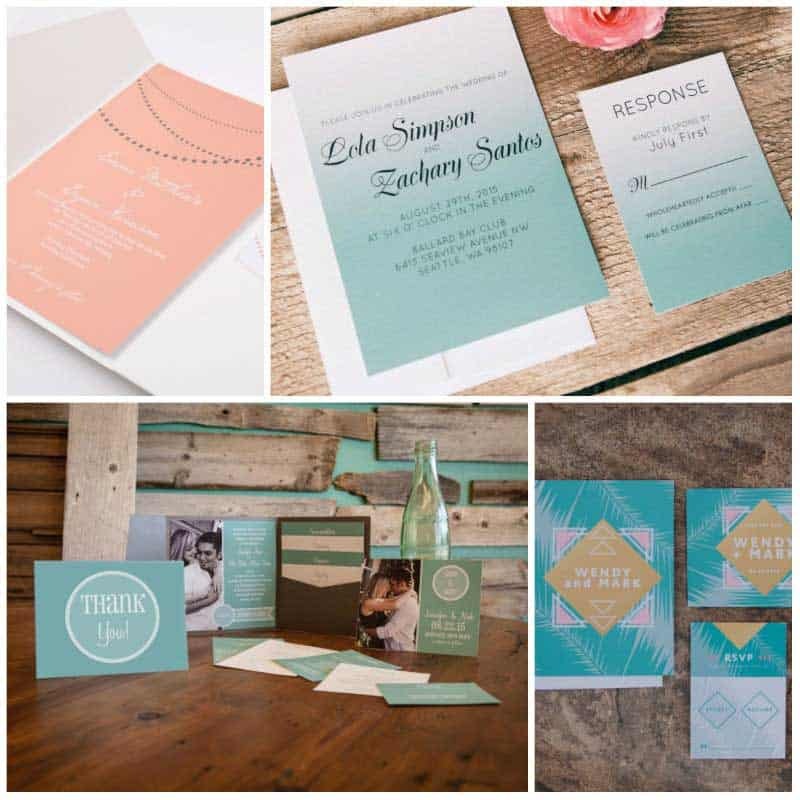 Check out these très chic wedding invitations that are perfect for summer weddings! 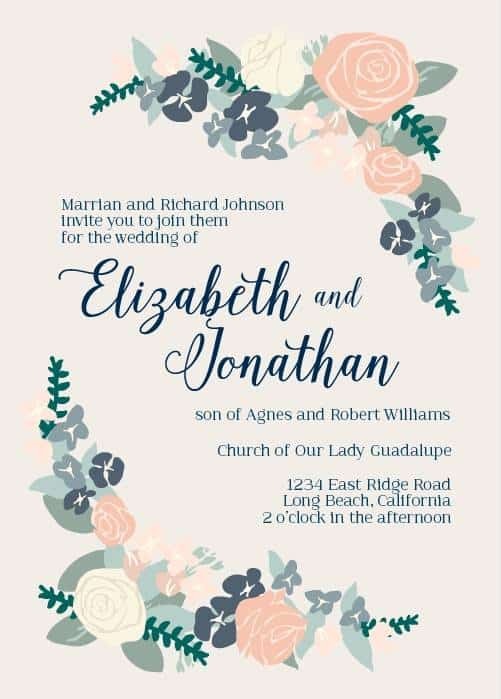 What we love about the Glamorous Standard wedding invitation is that it’s super jolie, and in addition to being pretty, it’s elegant and very subtle. This one is perfect for the girl who glows but is never ostentatious, who loves light, airy designs with clean lines. It’s for the girl who believes that less is more, and who can appreciate just a little glitter. We want to eat this one up! The Illustrated Corner Wreath wedding invitation is for the flirty girl who loves designs reminiscent of Paris, elegant tea parties in the garden but also bicycle rides in blue jeans, bunches of pink peonies, sparkling baubles and worn t-shirts! 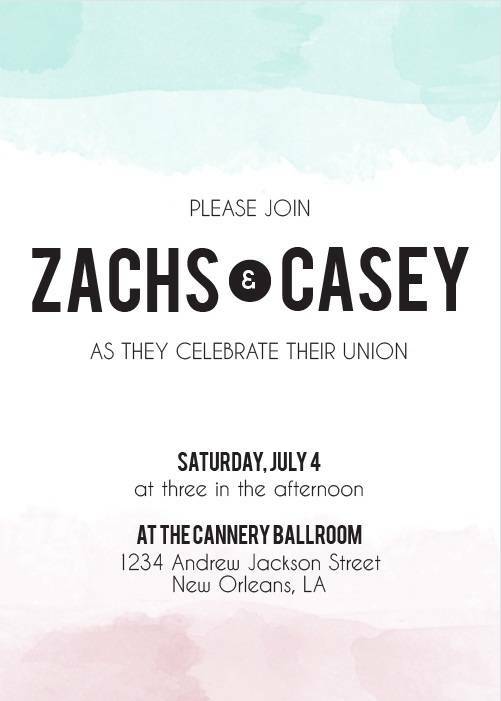 Whether you’re planning a formal wedding or a laid-back soiree, this one is perfect! Oh man – this one had us catching our breath in joy. 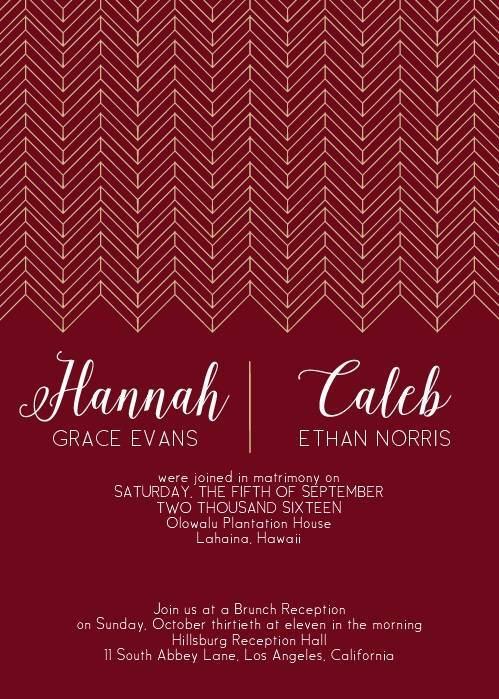 The Glamorous Chevron wedding invitation has the trendy chevron design without being too mainstream. It’s for the girl who adores rich, bold colors and designs, who loves a little mystery in her life. It’s perfect for the soon-to-be bride who loves to make a statement and who appreciates a little shine. The Watercolor Dip wedding invitation is one of our absolute favorite wedding invitations from Basic Invite. It’s whimsical and practical. It’s for the girl who is straight-forward and knows what she wants, who isn’t afraid to be bold and artistic, the girl who is no-nonsense but with a little lace around the edges. Plus, it works well for more formal ceremonies as well as laid-back ones. 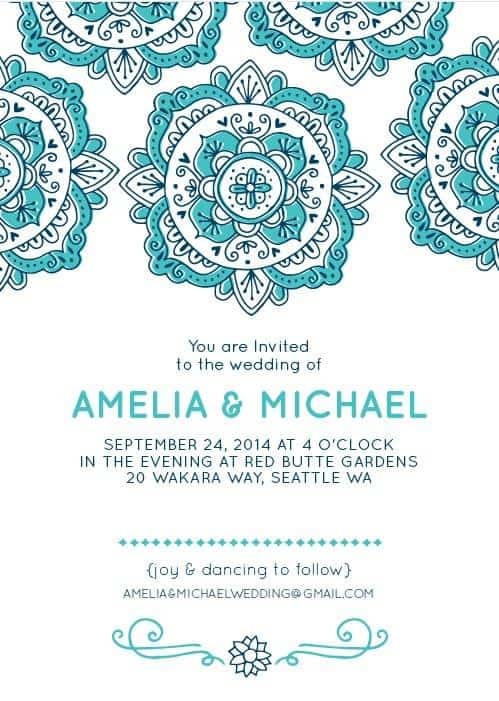 One word comes to mind with the Modern Moroccan Wedding invitation – amour! This gorgeous invitation channels the trendy Moroccan designs that are so popular this year, as well as the stunning shades of blue and teal that brides are simply loving. This one is for the girl with the boho vibe, who loves pairing designer shoes with the perfect vintage thrift store dress, who would choose an art class over a night at the club, and who can appreciate the perfect pair of dream catcher earrings. Dozens of designs to choose from. 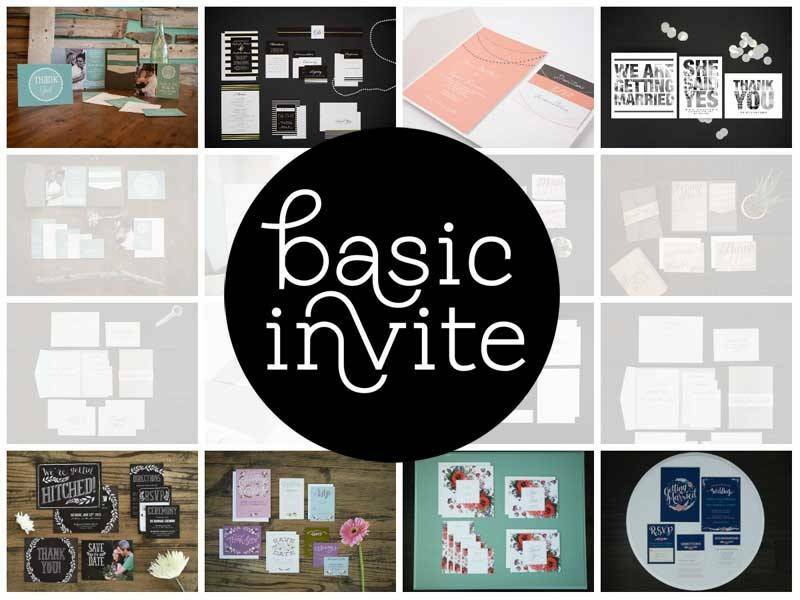 So grab a cup of coffee and stop by Basic Invite’s website to browse their entire collection. We love each of these designs so much, and the list is so diverse, it meets the styles and personalities of nearly every bride. Which one is your favorite? Are you the boho, artsy type or the soft and glittery type? Let us know in the comments below!